With more than 25 years of service, Hummingbird Education Centers have become a leader in the field of alternative education. 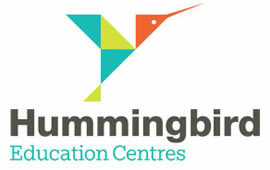 Honoring the belief that there is more to success than academics, Hummingbird provides programs that support and empower learning by encouraging individuals of all ages to find within their own mind, body and spirit, the inner strengths and talents that achieve balance and success in life. Offering both online and in house programs, Hummingbird is committed to providing a positive, individualized, student-centered experience by providing a unique combination of Educational, Arts, and Wellness/Life Balance programs. MediaTown Marketing partnered with Hummingbird Education Centers to generate a website that could accommodate their rapidly growing online community. MediaTown was brought on to do a complete redesign that allowed them to sell their courses online, improve their user interface, improve lead generation. The team at MediaTown was excited at the possibilities and ended up completely revamping the navigation system and creating an easy to use eCommerce system that was completely customizable by Hummingbird.